wouldn’t it be possible to add a power supply cirtcuit that supplies stable 5V to the arduino. This way you can build in the arduino with knx shield without external power supply. Or would it use too much power and possible overload the bus? good idea. We would really have to check if KNX can provide enough power. As long as it’s only the Arduino, this should be possible; however, adding a display shield or something like that will draw too much power. Well indeed running just the atmel chip on the bus current would be no problem but anything else should be isolated. Current spikes are not a good thing on a KNX BUS, and devices can behave very strange because of it. When developing devices the aim should always be equal or less than 10 mA current draw. 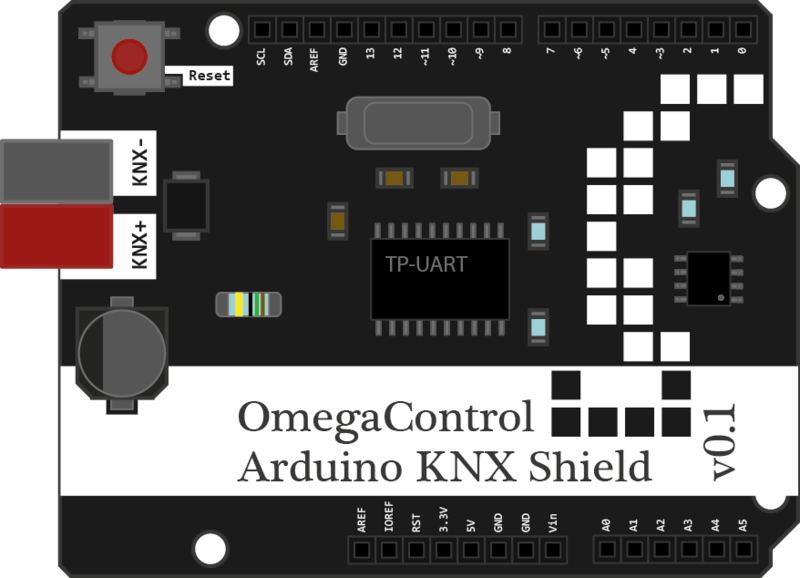 Arduino KNX shield is very interesting. I made some DIY KNX devices but the code is a real struggle for me. I build an KNX RF sniffer to my Arduino Mega and Uno. I combinated with TFT screen and RTC. Working well. Are you guys still actively working on it? This is a really really cool project. Do you happen to know already what are the (planned) dimensions of the board? Will it work with an Arduino Nano? yes – we just got the 100 subscribers which was kind of our absolute minimum to try to produce this thing; however, producing and selling PCBs (with components on board) is not as easy as thought (not the technical part, but rather the regulatory part). Anyway, we try to get this thing going, probably as a set to assembly on your own.